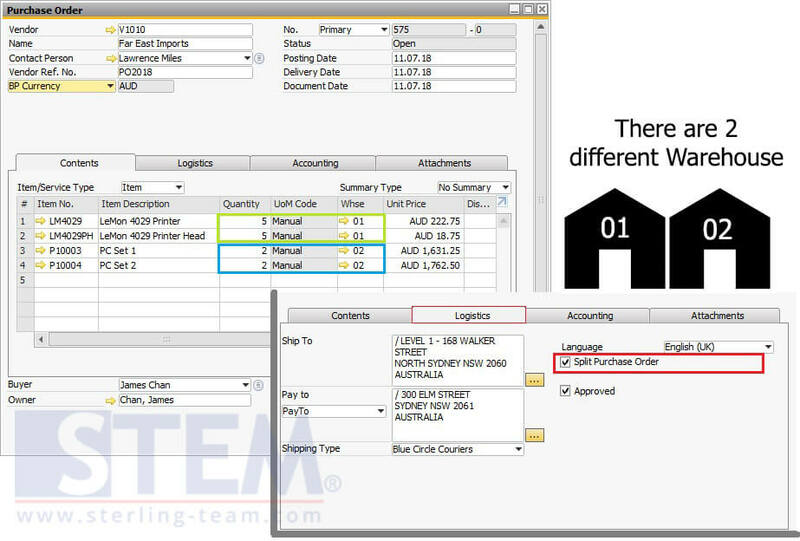 This feature from SAP Business One will be very useful for users who often use more than one warehouse in the same document? Are you one of them? And you always split that details manually into different document by yourself? SAP Business One always provide a better solution for you. You can use “Split Purchase Order” option, located on Logistic tabs on Purchase Order menu, under Purchasing – A/P module. This feature will be split your document automatically after you add the document on SAP. 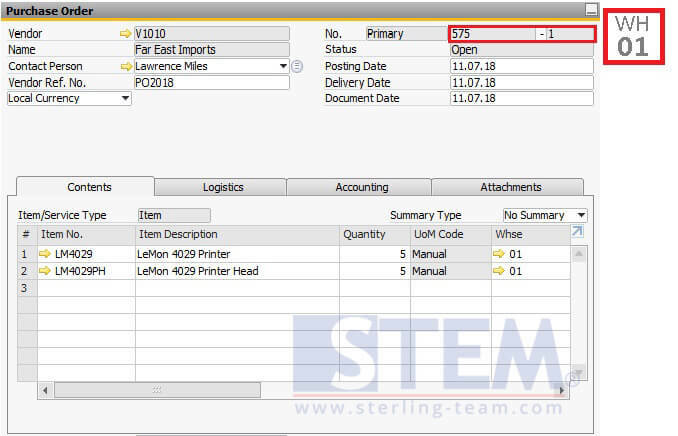 You need to split that Purchase Order into 2 different documents with specific reason. 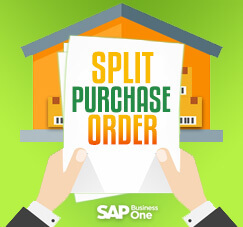 Tick the “Split Purchase Order” on Logistic tab, then click Add button. If there’s a pop-up like this (picture below), click Add. Note that your Document number is 575, and status is Open. But, after you’ve click Add, SAP will be create another document (split document) and update your previous PO status as “Cancelled”. 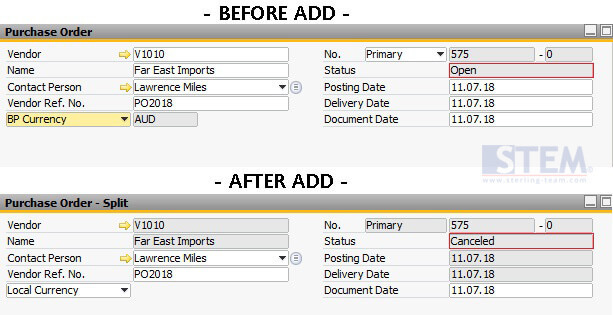 Because there’s only 2 different Warehouse codes on the document details (POR1), SAP also create 2 PO’s, so that will be only 1 Warehouse Code at the same document. 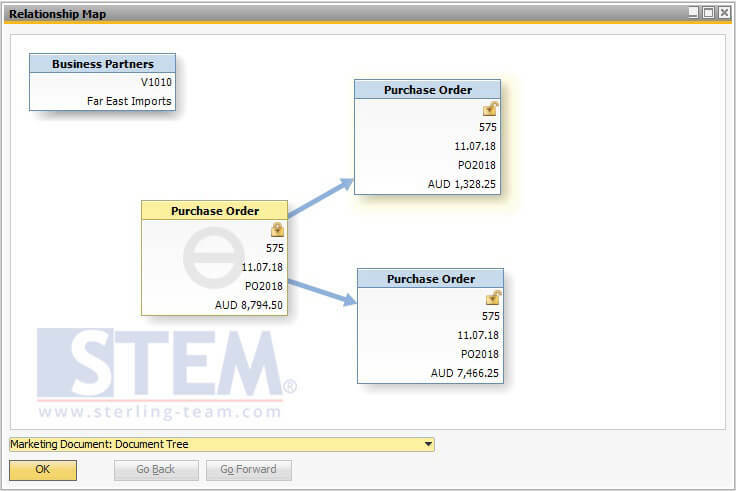 Look at this auto-generated document using “Split Purchase Order” feature (picture below). Their document numbering still same with the previous ones, 575. But the segment is changed. The “old” version PO will be “Cancelled”, and the new documents will be auto-created, with “Open” status, split perfectly based on their Warehouse Code. Well, let’s try to find it on SAP, there’ll be 3 documents with the same document number. So, the conclusion is, if you need to split document for each warehouse, you can use this feature. the Document will be split according to the number of warehouse code used on document details.